Website design Optometrists Chesapeake VA | This legacy web design generates online customer leads and supports existing customers. The website was built in open source HTML and Windows classic ASP. 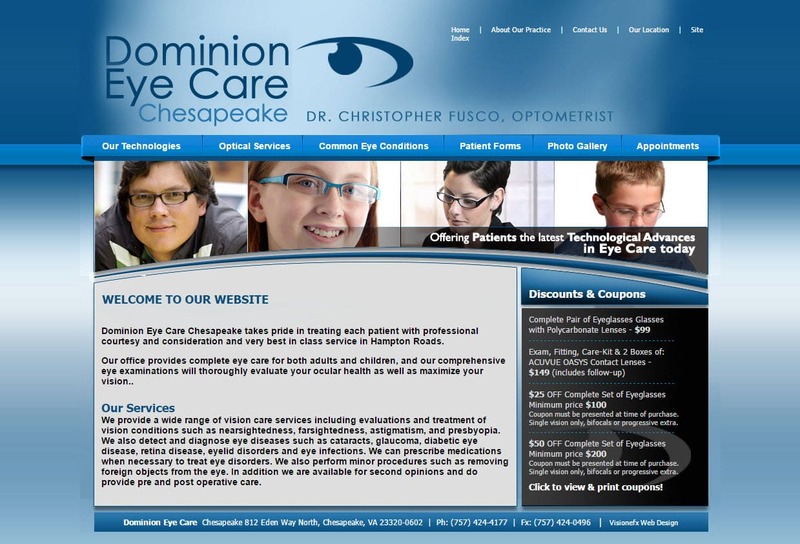 Dominion Eye is based Chesapeake, VA. VISIONEFX provides the finest in website design for healthcare providers. When searching Best website design services for Virginia and Hampton Roads look no further than the web design professional at VISIONEFX.